This month we’ve got some notable new books for members to read in Nottingham Hackspace. 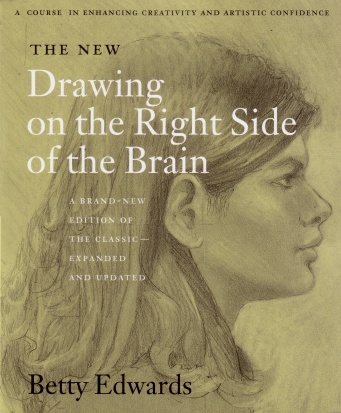 The classic ‘Drawing on the Right Side of the Brain: A Course in Enhancing Creativity and Artistic Confidence’ by Betty Edwards claims to be the world’s most widely used drawing instruction book and has cracking reviews. 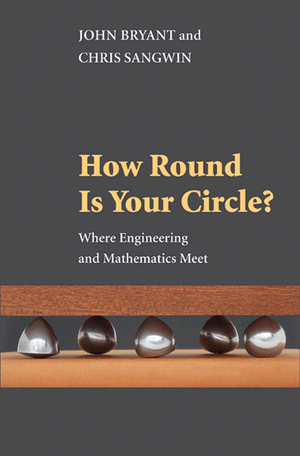 We also have a brand new book, ‘How Round Is Your Circle? : Where Engineering and Mathematics Meet’ by John Bryant, which describes some beautiful physical models you can build to explore mathematical problems from an engineering perspective. How do you draw a straight line? How do you determine if a circle is really round? These may sound like simple or even trivial mathematical problems, but to an engineer the answers can mean the difference between success and failure. How Round Is Your Circle? invites readers to explore many of the same fundamental questions that working engineers deal with every day–it’s challenging, hands-on, and fun. John Bryant and Chris Sangwin illustrate how physical models are created from abstract mathematical ones. Using elementary geometry and trigonometry, they guide readers through paper-and-pencil reconstructions of mathematical problems and show them how to construct actual physical models themselves–directions included. It’s an effective and entertaining way to explain how applied mathematics and engineering work together to solve problems, everything from keeping a piston aligned in its cylinder to ensuring that automotive driveshafts rotate smoothly. Intriguingly, checking the roundness of a manufactured object is trickier than one might think. When does the width of a saw blade affect an engineer’s calculations–or, for that matter, the width of a physical line? When does a measurement need to be exact and when will an approximation suffice? Bryant and Sangwin tackle questions like these and enliven their discussions with many fascinating highlights from engineering history. 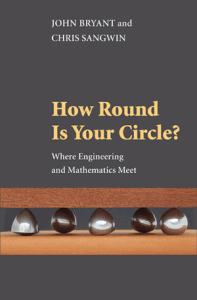 Generously illustrated, How Round Is Your Circle? reveals some of the hidden complexities in everyday things.